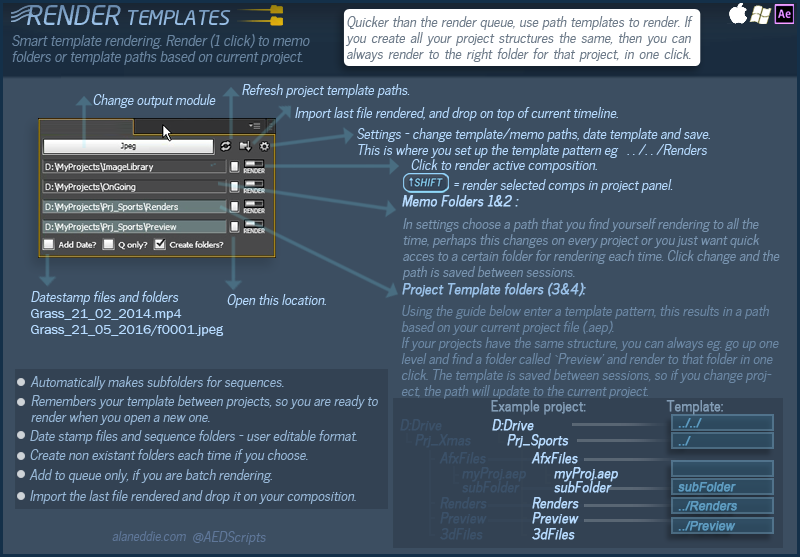 Shift click - render all selected comps in project panel. Click- render the active comp. Add to Queue only option for batch rendering. Import last file and drop on top of current comp.